As Fox's Empire continues to soar into the stratosphere with insane ratings, it's obviously going to start attracting a lot of big name talent to its roster. One famous face who drops by for Wednesday's episode of Empire , "Out, Damned Spot," is Raven-Symoné, who you may remember from her reign as Disney Channel Queen. Honestly, it's about time she came back into our lives. Now it looks like she's busting into the lives of Cookie and Lucious with a secret in tow. 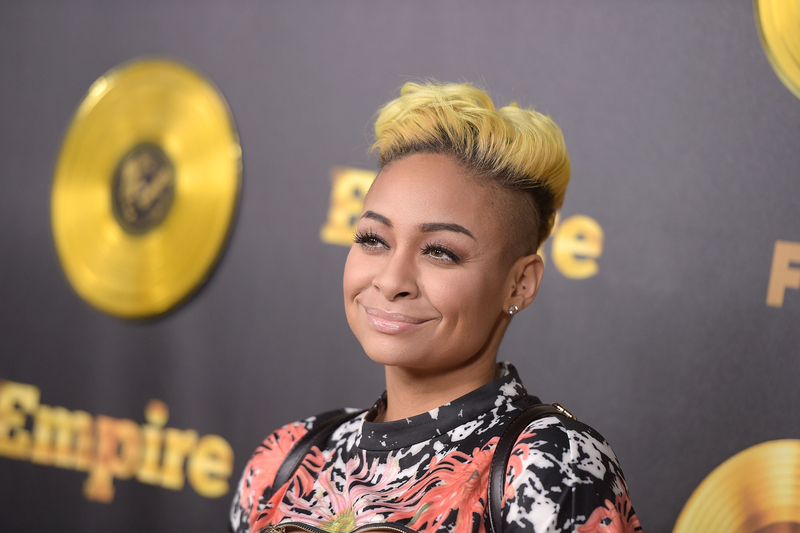 What kind of "secret" does Raven-Symoné bring to Empire ? The released synopsis for the episode states that "a mystery woman from the family's past shows up with a big, not particularly welcome surprise." Now, there are a LOT of secrets in this family that if revealed, would certainly qualify as surprises for everyone else. It would only make sense that there are 100 more skeletons in the various Lyons' closets, but whether they are literal or metaphorical skeletons remains to be seen. Raven-Symoné isn't even listed on Empire's IMDB page with a character name — very suspicious. Clearly the identity of this "mystery woman" is being kept tightly kept under wraps, so what exactly is she bringing to Empire Entertainment? Better yet, who's side of the family is she on? The family lives of both Lucious and Cookie really haven't been discussed much, aside from their children and Cookie's cousin Bunky. Raven-Symoné could easily be playing the sister of Lucious or Cookie. Maybe she's Lucious' sister who has come to bring him medical information about their family — Lucious is suffering from ALS after all. Raven-Symoné might be an actual genetic key for his future treatment. But I think we all secretly want her to be Cookie's sister. Maybe an estranged sister, so when she shows up all hell breaks loose. Yeah, that's actually exactly what I want to see go down with Cookie all the time. But aside from the melee that might be imminent, Raven-Symoné could show up with information on any one of Cookie's criminal links, whether it be the trial she just sat in on, or even relating back to her 17 years in prison for Lucious. Know what would be worse, though? If she's more closely related to Bunkie. That criminal investigation is still looming over Lucious, and sooner or later someone's going to piece together the fact that he was the one who killed Bunkie. If Raven-Symoné shows up as Bunkie's sister, that'll throw a whole new wrench into the situation. Or, you know, maybe Raven-Symoné appears and blows us all away with her psychic powers. I think Empire viewers would be fine with that happening, too.